Item # 283929 Stash Points: 199 (?) This is the number of points you get in The Zumiez Stash for purchasing this item. Stash points are redeemable for exclusive rewards only available to Zumiez Stash members. To redeem your points check out the rewards catalog on thestash.zumiez.com. 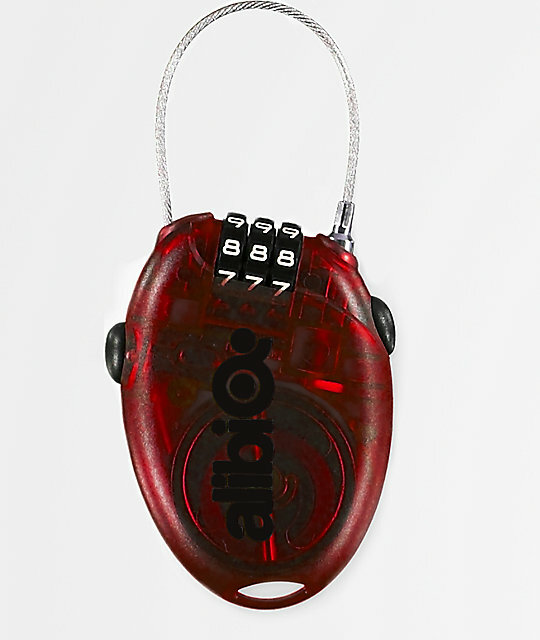 Keep your gear and equipment secure with the Snowboard Red Cable Lock by Alibi. This snowboard lock features a 30' retractable cable that attaches to a small lock unit with a 3 digit personal code for added security. 2018 Snowboard Red Cable lock by Alibi. Customizable 3 digit number combination.